Southeast Asia is one of the most internet-addicted regions on the planet, with the Philippines topping the global list with an average 10 hours and 2 minutes of screen time every day. 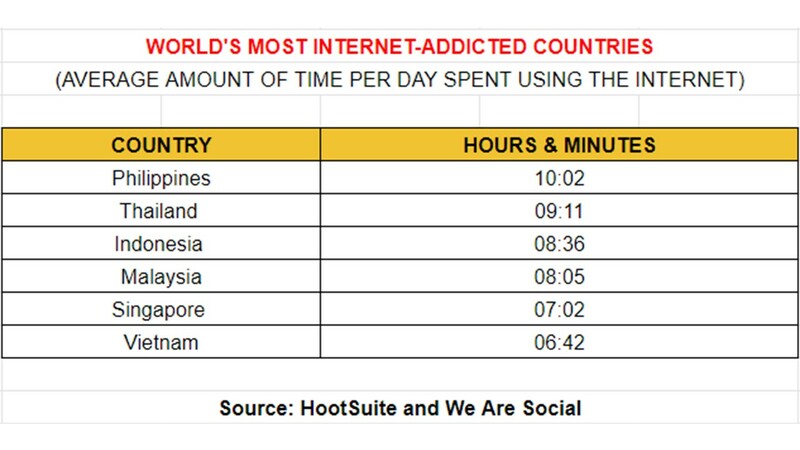 The country was joined in the top five by Thailand and Indonesia, according to findings in a new report on online habits released by HootSuite and We Are Social. Ranked third, people in Thailand were found to spend an average 9 hours and 11 minutes online each day, while those in neighbouring Indonesia also devoted more than a third of their day to screen time, clocking in at 8 hours and 36 minutes on average. Developing nations from south-east Asia and Latin America dominated the internet usage index, with Brazil and Colombia ranked second and fourth, respectively. Asia also featured at the other end of the spectrum, with people in Japan spending the least amount of time online – at an average of 3 hours and 45 minutes. The report reveals 57% of the global population is now connected to the internet, spending an average 6.5 hours online each day, leading its author, Simon Kemp, to calculate that the “world’s digital community will spend a combined total of more than 1.2bn years using the internet in 2019”. 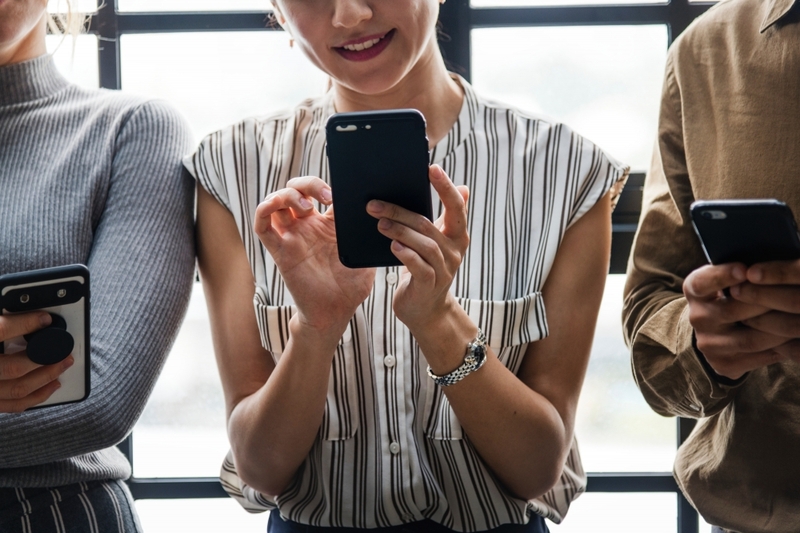 The findings from the Digital 2019 report show that most time spent online is done via mobile devices, with the greatest portion of that time spent on social media. It also charts an exponential increase in the number of new internet users. The country that experienced the biggest jump in internet usage in 2018 was India, which also struggled to counter the violent repercussions of viral fake news – with false rumours about child kidnappers spread on the messaging service WhatsApp leading to mob lynching and the murder of more than two dozen people. The south Asian nation saw the number of internet users jump by almost 100 million last year, nearly doubling the same growth in China, with internet penetration in India now at 41%.